Week 5, during the lesson, we had to create a unique drawing from the language of Nick Pugh. We watched a video of Nick Pugh sketching and had to pick an idea. Nick Pugh is American artist and creates digital fine art. 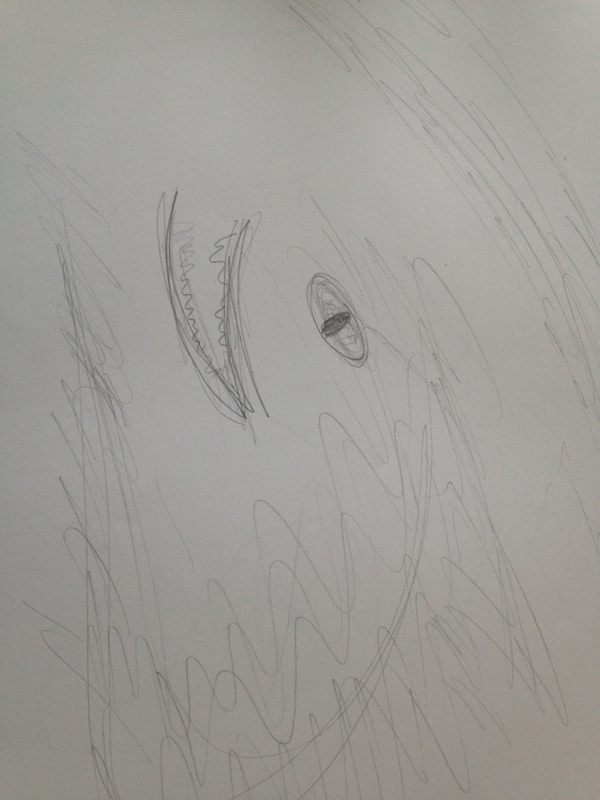 Here is my drawing. I drew the aeroplane flying. 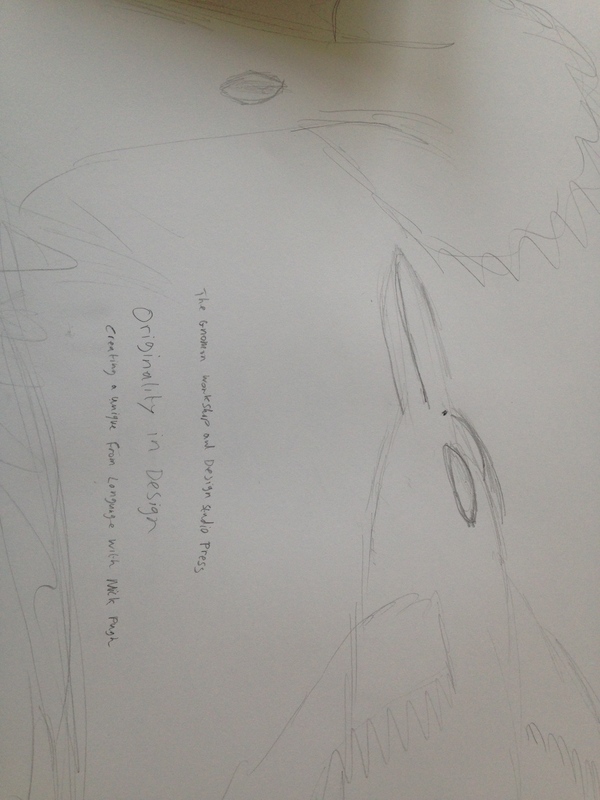 I drew the bird in half side body. 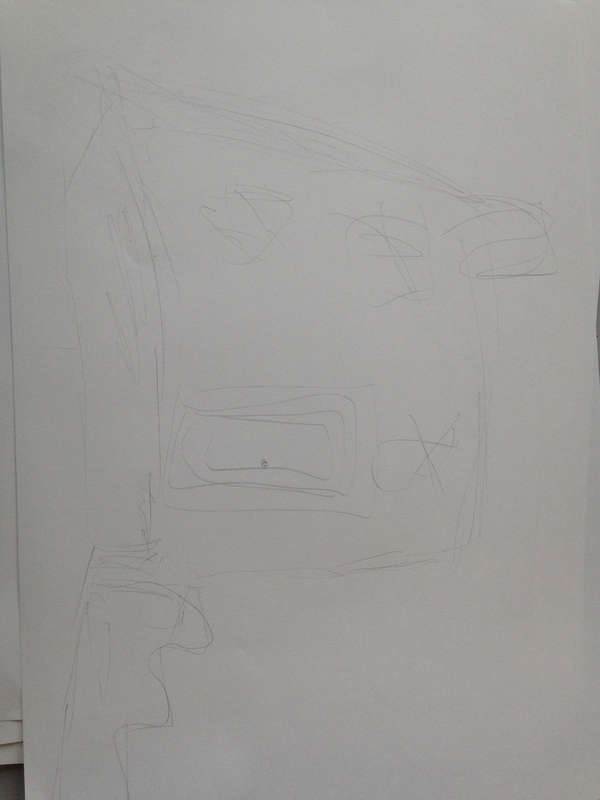 I drew front side of a house. 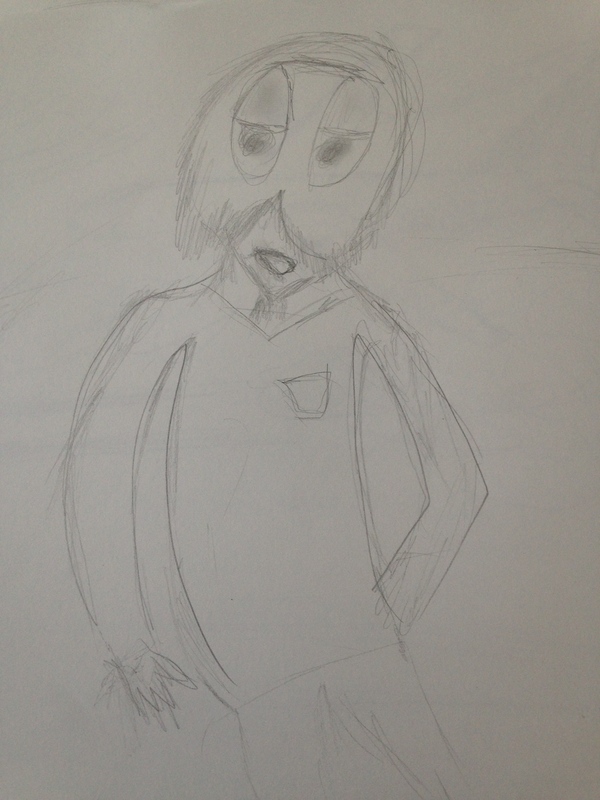 So far I drew this from my mind but I know it is not the best drawing. Need to practice lots! 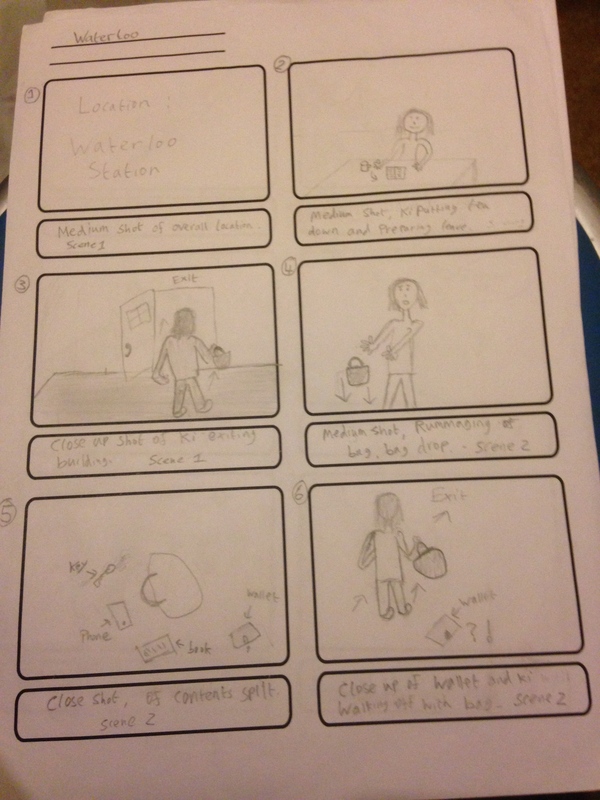 This entry was posted in Visual Studies on March 23, 2015 by saadchaudhryme. Week 5, We had completed our filming in week 3 and 4. We had 74 video footages and we had to pick out the best videos for editing. We saw all 74 videos and chose the most relevant. 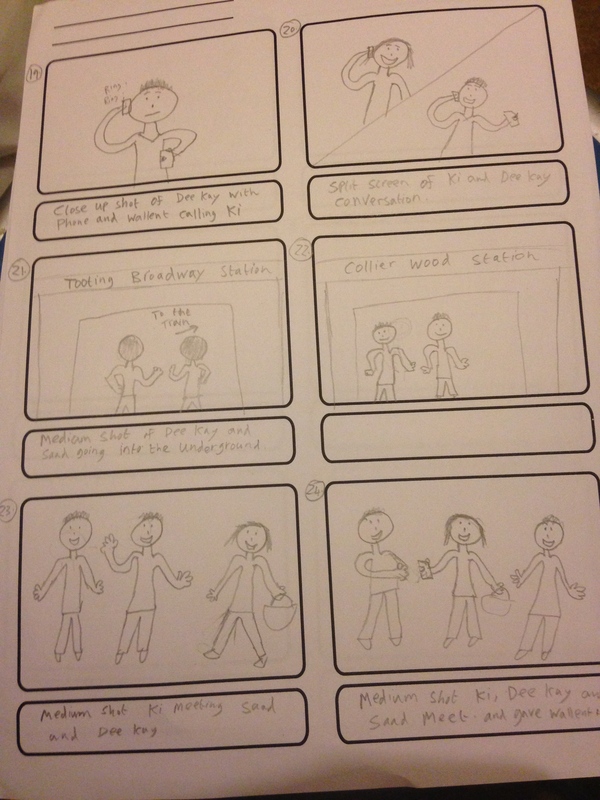 We made a good start with the editing and still have to continue. 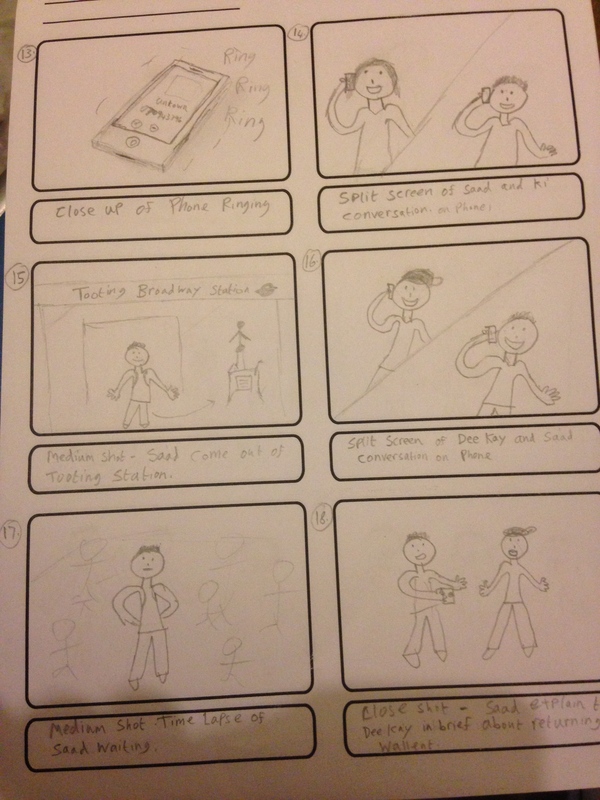 This entry was posted in Video Production on March 23, 2015 by saadchaudhryme. 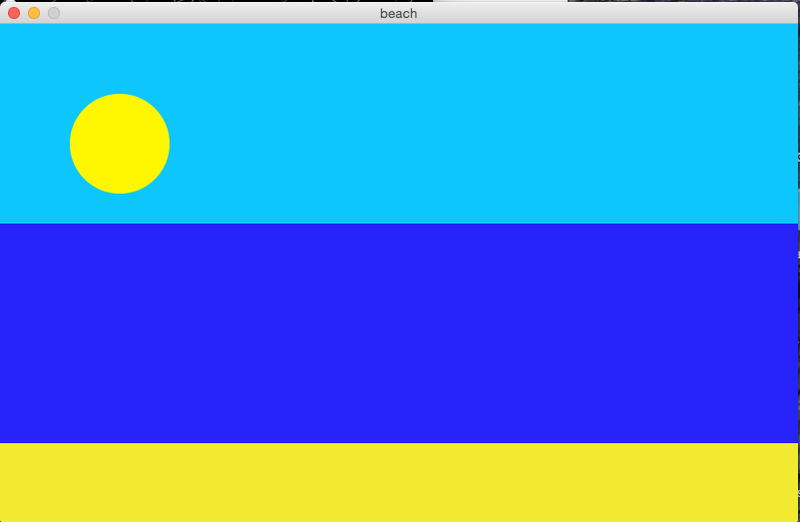 I experimented in Processing and created a beach scene. 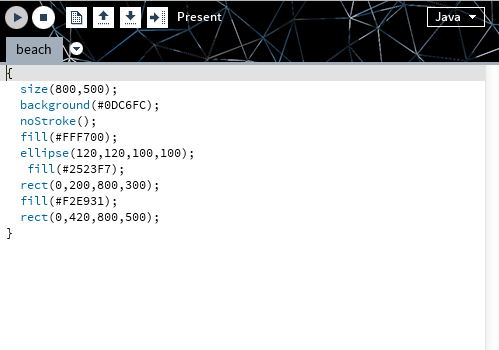 This is the code for processing showing how I created the beach. I have learnt how to fill colour in layers and how to use circle and rectangle. This entry was posted in Multimedia Scripting and Authoring on March 23, 2015 by saadchaudhryme. 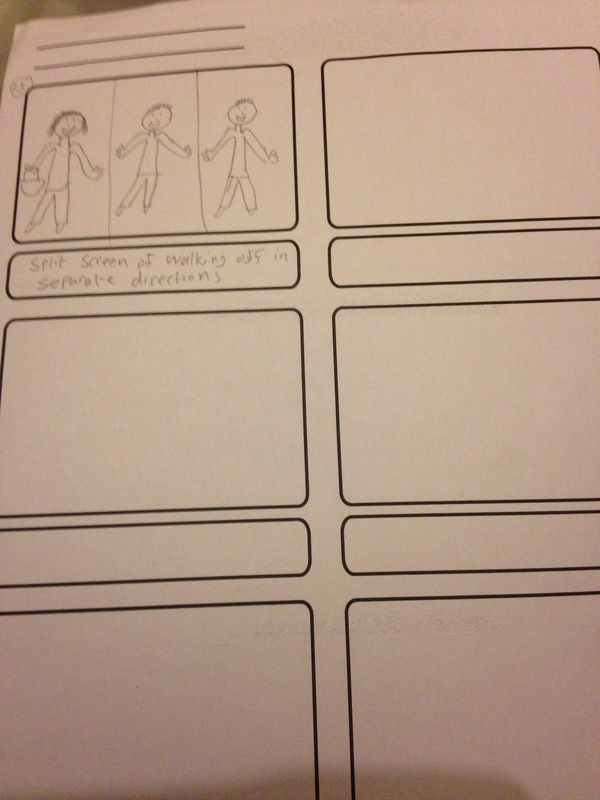 I have made storyboard for our filming. 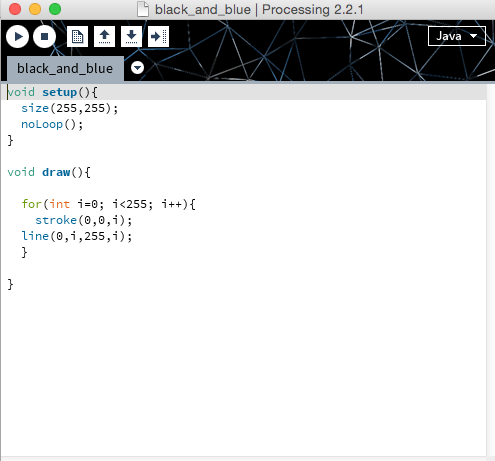 In week 4, we continued learning about processing. 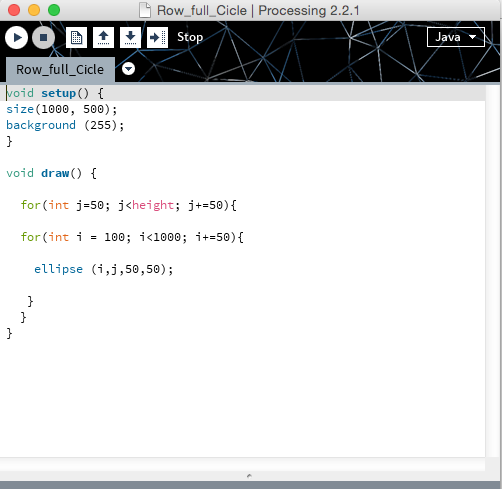 We learnt how to create hello world images, circle in rows and black and blue colours. 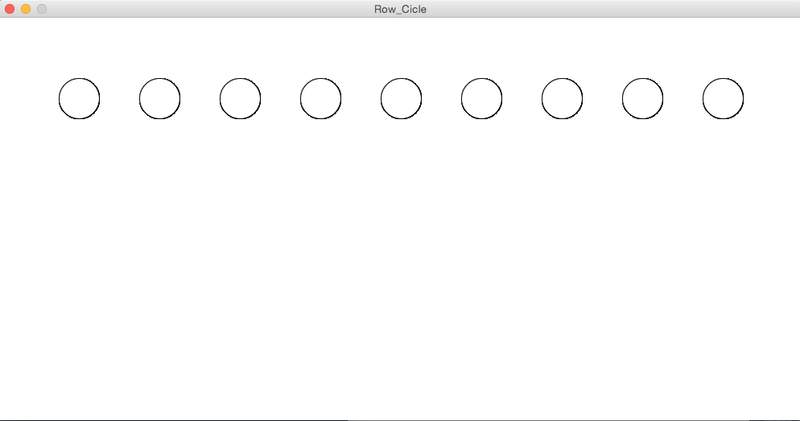 I have learnt how to put ellipse in row. 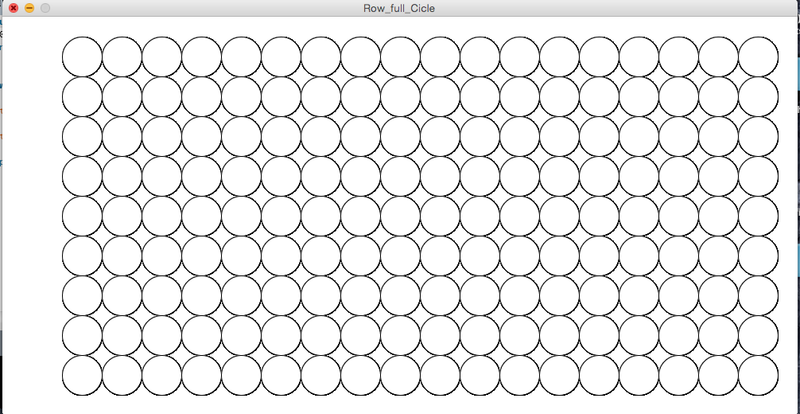 I have learnt how to make lots of circles with joined together. 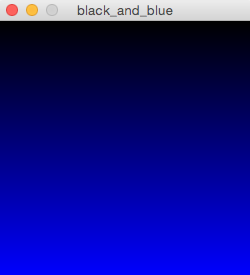 I have learnt how to 2 colour in screen and make it look like dusk in the sky. 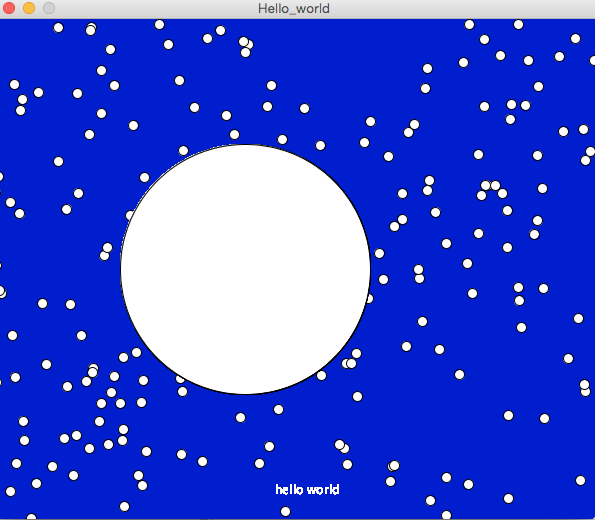 I have created the big white circle which looks like the moon with a blue background and white dots. It looks like the moon has been caught in a snowstorm. 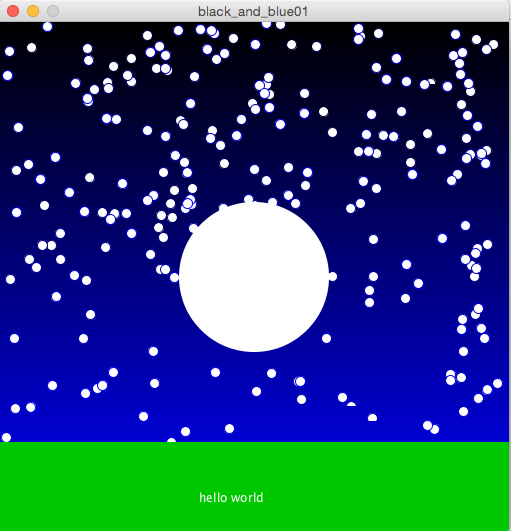 I have made Hello World with a moon, grass, star and dusky sky. I have learnt how to add in layers and learnt how to put text on it. 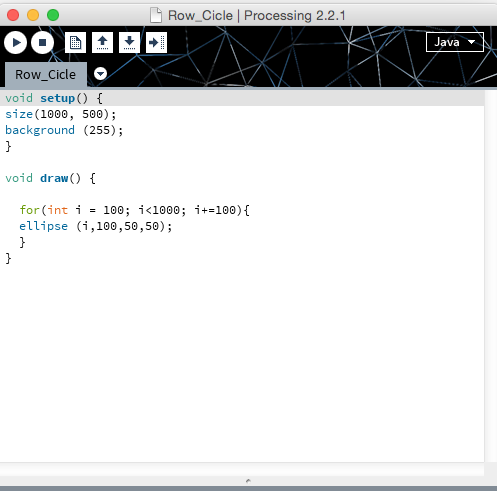 I have started to understand processing and have understood about void setup and void draw code. Week 4, We have finished filming (Hooray!). We have been filming from 6pm till 10pm. It was long filming and it was really cold outside. We continued filming at Tooting Broadway Station and then we did filming at Colliers Wood Station, our final destination. I was really happy the way the filming went and very pleased with the job done. We have done the hard part and I really enjoyed the filming and had a great time and it was fun. I am looking forward to editing. Negroponte predicted some of the advancements in technology almost 30 years ago. He believed that computer technology would change the workplace, home, schools, television and film. He believed that the digital age would be part of our lives and would be the corner stone of everything we do. He predicted correctly that space and time would be irrelevant for communication and how emails would be the preferred medium to communicate. He also questioned as to what else advancements in technology would bring to change the way we would communicate with each other. 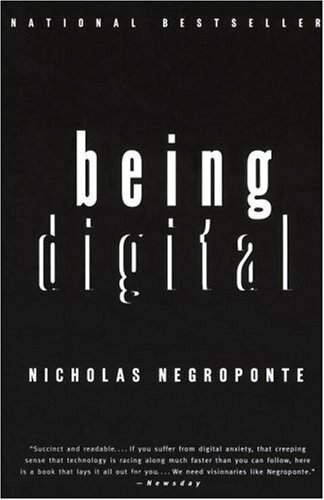 Negroponte realized that digital life would also include technology to demand tv programmes and broadcasts as and when you required. He also questions the problems that could occur from the fast technology revolution e.g more software, learning curves to keep up with the technology, identity theft. This book is an interesting read to learn about the rise of the digital age and the future predictions. It is interesting to see how many have come true and how many have still yet to be realized! 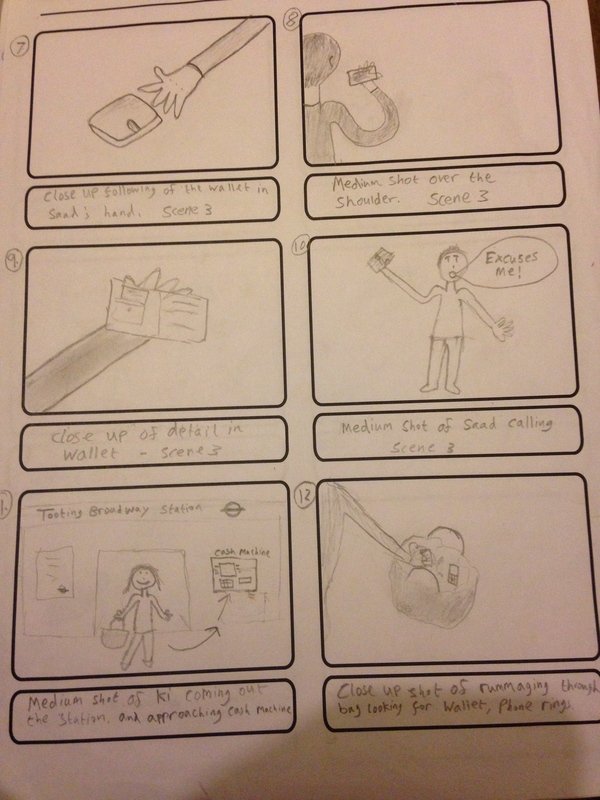 This entry was posted in Digital Culture on March 23, 2015 by saadchaudhryme.